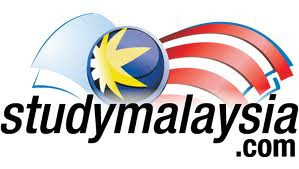 If you are STPM or SPM 201o leavers from Sarawak and looking for a place to further your studies there is StudyMalaysia Education Fair 2011 in Kuching Sarawak coming up soon organised by www.studymalaysia.com and Linkz Event Sdn. Bhd. There are many public and private colleges and organizations will be putting up their exhibition there. Universities and Colleges Asia e University, Asia Pacific University College of Technology & Innovation (UCTI), Cosmopoint International College of Technology (CICT), Imperia Institute of Technology, International Education Centre (INTEC) University Technology MARA, KBU International College, Kolej TAFE Seremban, KPJ International College of Nursing & Health Sciences, Kuala Lumpur Infrastructure University College, MASHA University College, Malaysia University of Science & Technology, Malaysia Maritime Academy (ALAM),Masterskill University College of Health Sciences (Kuching Metro Campus), Melaka Manipal Medical College, Nilai University College, Olympia College, Open University Malaysia (Sarawak Learning Centre), Putra Intelek International College, Saito College, SEGi University College, Sime Darby Nursing and Health Sciences College, The Otomotif College, Tridiva Utama Sdn Bhd, UCSI University, Universiti Malaysia Kelantan, Universiti Teknologi Malaysia and Universiti Utara Malaysia. Labuan International School and R.E.A.L Education Group Sdn Bhd. Jabatan Pelajaran Negeri Sarawak, Department of Skills Development (JPK) Ministry of Human Resources Malaysia, Malaysian Qualification Agency (MQA), Ministry of Education Malaysia (MOE), Perbadanan Tabung Pendidikan Tinggi National (PTPTN), Tourism Malaysia (Negeri Sarawak) and United Chinese School Committees Association of Malaysia. So this is an opportunity for you to get and equip yourself the information to make an informed and calculated decision to further your studies.